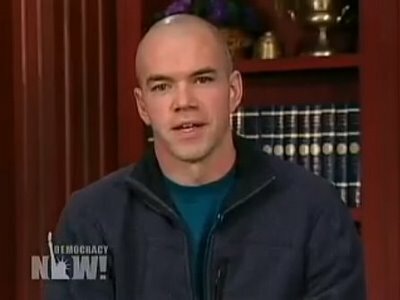 Climate Activist Tim DeChristopher Subjected to Cruel and Unusual Punishment–as Climate Destabilizes?? Tim will continue to be held in isolated confinement pending an investigation. There is no definite timeline for inmates being held in the SHU — often times they await months for the conclusion of an investigation. Such an outrageous act should also get the public, and President Obama, the US Congress and Bureau of Prisons officials to bring an end to DeChristopher’s wrongful isolation–and unfair 2-year prison sentence. Peaceful Uprising supporters are calling on prison officials–and members of the United States House Judiciary Subcommittee on Crime, Terrorism, and Homeland Security–to intervene and return DeChristopher to Minimum Security Camp at FCI Herlong. “In the past two weeks, he has been allowed out of his 8 X 10 cell (which he shares with one other inmate) four times, each time for less than an hour. The SHU could have been designed by Franz Kafka,” the press release noted. This entry was posted in Uncategorized and tagged civil disobedience, Coal, DeChristopher, Department of Interior, fossil fuels, Hero, oil, Utah. Bookmark the permalink.